In 3 Nephi 27:20, Jesus declared, “Now this is the commandment: Repent, all ye ends of the earth, and come unto me and be baptized in my name, that ye may be sanctified by the reception of the Holy Ghost, that ye may stand spotless before me at the last day.” Importantly, this verse is part of Jesus Christ’s own description of His gospel. Earlier in this chapter, the disciples had prayed to know what they should name the Church, which Christ had established among them. Jesus appeared to them and taught that “whatsoever ye shall do, ye shall do it in my name; therefore ye shall call the Church in my name” (3 Nephi 27:7). With this in mind, Christ’s commandment in verse 20 to be “baptized in my name” emphasizes the importance of His holy name in all gospel-related covenants and ordinances. Christ’s message of repentance to “all ye ends of the earth” and His commandment to “come unto me” must have been particularly meaningful in the context of His recent appearance at the temple in Bountiful (3 Nephi 27:20). In that setting, all of the people present were literally invited to come unto Him one by one and to feel His resurrected body for themselves. This event symbolizes the universal outreach of Christ’s gospel, as well as the personal relationship that He offers to each individual child of God. Also at Bountiful, Christ physically healed those who were sick or “afflicted in any manner” (3 Nephi 17:9). So too can His gospel spiritually heal all who come unto Him. Those who have faith in Him (3 Nephi 27:19), repent of their sins, and are baptized in His name can become spiritually transformed as they are “sanctified by the reception of the Holy Ghost” (v. 20). In this blessed condition, they can “stand spotless before [Christ] at the last day” (3 Nephi 27:20). In the Book of Mormon, the word spotless almost always refers to being spotless in the presence of God and has symbolic reference to one’s clothing. The term last day refers to the final judgment, when resurrected individuals will stand, once again “clothed upon with flesh,” to be judged of God (Doctrine and Covenants 138:43). Like those who physically felt Christ’s healing touch at the temple in Bountiful, all of us can spiritually come unto Christ by being baptized into His church and following His gospel. This path of spiritual progression allows us to always “be close to Him” and to eventually become like Him. As Christ taught, this sanctifying power is facilitated by the reception of the Holy Ghost, and therefore is a gift that must be actively received. It should be understood, though, that the cleansing and sanctifying power of the Holy Ghost is only made possible through Jesus Christ’s infinite Atonement. As individuals “[yield] to the enticings of the Holy Spirit” (Mosiah 3:19), the third member of the Godhead will “apply the atoning blood of Christ” to their lives (Mosiah 4:2). Ultimately, everything about Christ’s church and His gospel is centered in Christ Himself. The Church is named after Jesus Christ. The gospel begins with faith in Christ. Spiritual cleansing is made possible for all mankind through Christ’s suffering. And the Holy Ghost’s ability to sanctify us comes through the enabling power of Christ’s Atonement. It makes sense that the gospel is all about Him because His Atonement is all about us. Even though He was sinless, He suffered for our sins. He bled from every pore for us (see Mosiah 3:17). He experienced the totality of mortal pain and sorrow for us (see 2 Nephi 9:21). And He allowed Himself to be crucified so that He could draw all of us unto Him, to be righteously “judged according to [our] works” (3 Nephi 27:15). At that day, all who willingly come unto Christ by following His gospel will stand spotless before Him, having been both cleansed and sanctified through His Atoning power. 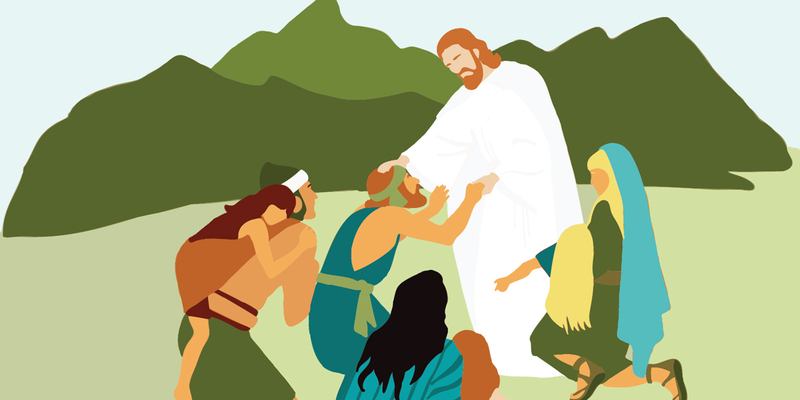 President Henry B. Eyring, “‘Come Unto Me’,” Ensign, May 2013, 22–25, online at lds.org. Elder David A. Bednar, “Clean Hands and a Pure Heart,” Ensign, November 2007, 80–83, online at lds.org. Elder Dallin H. Oaks, “Taking upon Us the Name of Jesus Christ,” Ensign, May 1985, online at lds.org. Jesus began His gospel definition in 3 Nephi 27:13 by stating, “this is the gospel which I have given unto you.” He stressed the importance of these teachings again by using the term “verily” twice in verse 21: “Verily, verily, I say unto you, this is my gospel.” Christ’s repeated emphasis on these points of His gospel shows how absolutely essential they are. For further information concerning Christ’s gospel, see Book of Mormon Central, “What is the Doctrine of Christ? (2 Nephi 31:21),” KnoWhy 58 (March 21, 2016); Book of Mormon Central, “Where Does the Book of Mormon Declare the First Principles and Ordinances of the Gospel? (3 Nephi 27:20),” KnoWhy 276 (February 17, 2017); Book of Mormon Central, “Why is 3 Nephi Sometimes Called the ‘Fifth Gospel’? (3 Nephi 27:21),” KnoWhy 222 (November 2, 2016); Noel B. Reynolds, “The True Points of My Doctrine,” Journal of Book of Mormon Studies 5, no. 2 (1996): 26–56; Noel B. Reynolds, “The Gospel of Jesus Christ as Taught by the Nephite Prophets” BYU Studies 31, no. 3 (1991):31–50; Andrew C. Skinner, “Jesus’s Gospel-Defining Discourse in 3 Nephi 27:13–21: Doctrinal Apex of His New World Visit,” in Third Nephi: An Incomparable Scripture, ed. Andrew C. Skinner and Gaye Strathearn (Provo, UT: Neal A. Maxwell Institute for Religious Scholarship, 2012), 281–308; Robert L. Millet, “This Is My Gospel,” in 3 Nephi 9–30, This Is My Gospel, ed. Monte S. Nyman and Charles D. Tate, Jr., Book of Mormon Symposium Series, Volume 8 (Provo, UT: Religious Studies Center, Brigham Young University, 1993), 1–24. See Richard O. Cowan, “The Church Shall Bear My Name and Be Built upon My Gospel,” in 3 Nephi 9–30, This Is My Gospel, 225–235. See Elder Dallin H. Oaks, “Taking upon Us the Name of Jesus Christ,” Ensign, May 1985, online at lds.org. See 3 Nephi 9:13; 18:32. 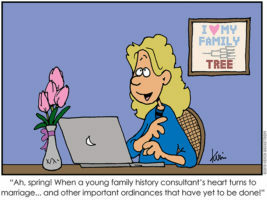 See also Elder James E. Faust, “Spiritual Healing,” Ensign, May 1992, online at lds.org. See 2 Nephi 33:7; Jacob 1:19; Alma 7:25; 12:14; 13:12; 14:7; 3 Nephi 27:20; Mormon 9:6. See Hugh Nibley, Temple and Cosmos, The Collected Works of Hugh Nibley, Volume 12 (Salt Lake City and Provo, UT: Deseret Book and FARMS, 1992), 91–138. 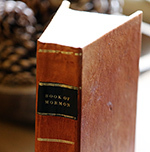 See Richard Dilworth Rust, “‘At the Judgment-Seat of Christ’ – Larger Perspectives,” in Feasting on the Word: The Literary Testimony of the Book of Mormon (Salt Lake City and Provo, UT: Deseret Book and FARMS, 1997), 219–249. For further discussion of the Book of Mormon’s language and imagery regarding this topic, see Royal Skousen, “The Pleading Bar of God,” Insights 24, no. 4 (2004): 2–3. President Henry B. Eyring, “‘Come Unto Me’,” Ensign, May 2013, 22, online at lds.org. Elder David A. Bednar, “Clean Hands and a Pure Heart,” Ensign, November 2007, 82, online at lds.org. Elder Bednar, “Clean Hands and a Pure Heart,” 82.